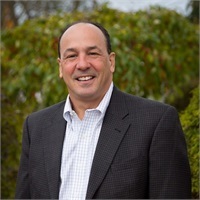 Jeffrey A. Segal, CFP, AIF, CLTC, is the Chairman, President, CEO, Senior Partner, Founder, Wealth Manager and Wealth Advisor at CIG Private Wealth Management. His career in financial services spans 30 years, 20 of which were spent establishing and growing his own firm. Genuinely invested in helping people succeed financially, Jeffrey is determined to use his industry knowledge and experience to make a difference in the lives of his clients. Aside from holding his Series 6, 7, 63 and 65 securities licenses, Jeffrey is a CERTIFIED FINANCIAL PLANNER™ professional, an Accredited Investment Fiduciary® (AIF®), and a Certified Long- Term Care (CLTC) consultant. He is an outstanding leader who believes in integrating and coordinating planning strategies with clients, other professionals, and their trusted advisors for success. Originally from Massachusetts, Jeffrey currently lives in Glastonbury, CT with his wife, Jennifer and their two children. His hobbies include automobile racing, traveling, hiking, golfing, and playing tennis. He is a Chief Instructor at the Audi NEQ Club and never turns down an opportunity to help others.